Our selection of handballs covers all players, with our best handball, the ULTIMATE, as the supreme ball. This ball is used by numerous major European clubs, such as PSG in France, Veszprém in Hungary and Vive Kielce in Poland. And several major historical successful handball ​nations like Denmark and Russia use it as their official match ball. ULTIMATE is synonymous with the pure joy of playing sports. Made of extremely durable synthetic leather and specially developed Shark Skin Foam, which makes the ball feel soft yet with an unrivalled grip.The balls are also extremely reliable for match-play use. The Zero-Wing bladder makes sure that they fly through the air in a dead straight line and most importantly that their bounce is totally controlled. 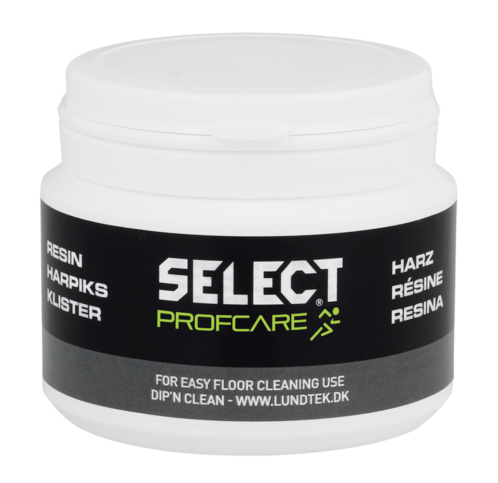 At the same time, apart from these classic SELECT advantages, there is something light and lively about them.Alongside our other handballs, ULTIMATE has been tested for circumference and weight and approved by the International Handball Federation, IHF, for use in tournaments worldwide. 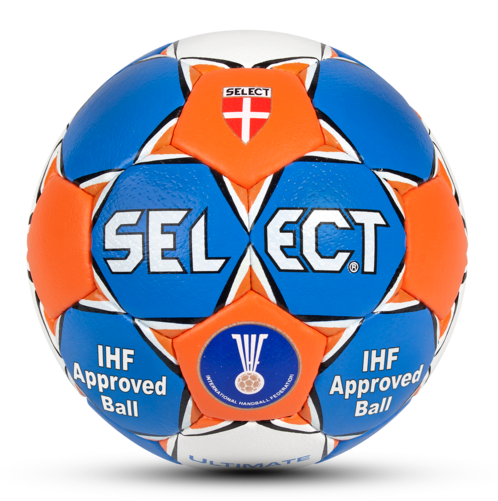 Approved by IHF: The majority of our balls are approved by the IHF. This is the highest form of quality assurance there is. This is a requirement for the balls to be used for international games and other official matches under the auspices of the IHF. The bladder is made of high performance natural latex. The Zero Wing concept has been developed to ensure that not only the ball but also the bladder is as round as possible. Only latex bladders are use by SELECT. These have an inbuilt balance point at the opposite side of the valve hole. This, together with the Zero Wing concept, ensures a perfectly balanced ball with a very lively bounce. To stabilise the ball and to ensure that it remains round; its 32 panels are lined with several layers of textile material. The lining also helps to adjust the softness as well as the weight of the ball. The most important factor regarding the softness of the ball is actually a layer of neoprene foam, which is placed between the lining and the synthetic leather. The foam maintains its softness and elasticity game after game. The ULTIMATE top ball is the only model produced using specially developed Shark Skin Foam. This makes it an even softer and thoroughly fantastic ball. All balls in the Pro and Club range are hand stitched. The 32 panels are sewn together using 540 double stitches and 60 corner stitches and are closed off (especially for SELECT) with a double knot. The ball lasts longer this way.